Jasmine Princess Tree King Aladdin (@ParisPic). Jasmine Princess Tree King Aladdin (@ParisPic). 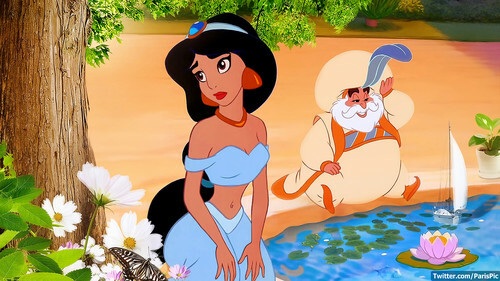 HD Wallpaper and background images in the Aladdin club tagged: aladdin disney jasmine animated film arabian nights movie screenshot video game livejournal princess. Live-Action Science Fiction ALADDIN Movie in Development!